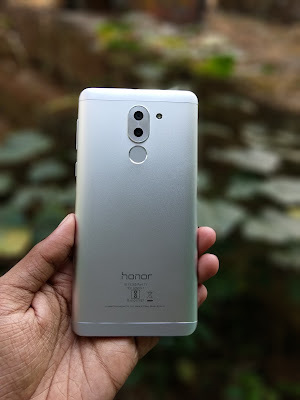 Honor 6X feature a 5.5-inch Full HD Display powered by a Kirin 655 Octa Core processor coupled with 3GB/ 4GB of RAM and 32GB/64GB of internal storage which is further expandable up to 128GB with MicroSD card. Dual SIM device runs on Android Marshmallow with EMUI 4.1. Nougat Update coming in Q2 of 2017. On camera, it has a 12MP rear camera with LED Flash, 1.25um Pixel Size, PDAF + 2MP secondary camera and 8MP front-facing camera. Connectivity Options include 4G LTE, WiFi 802.11 b/g/n, Bluetooth 4.1, GPS. Honor 6X comes with Wi-fi bridge feature, which essentially allows you to share/hotspot WiFi data. Packed with a 3340mAh battery.